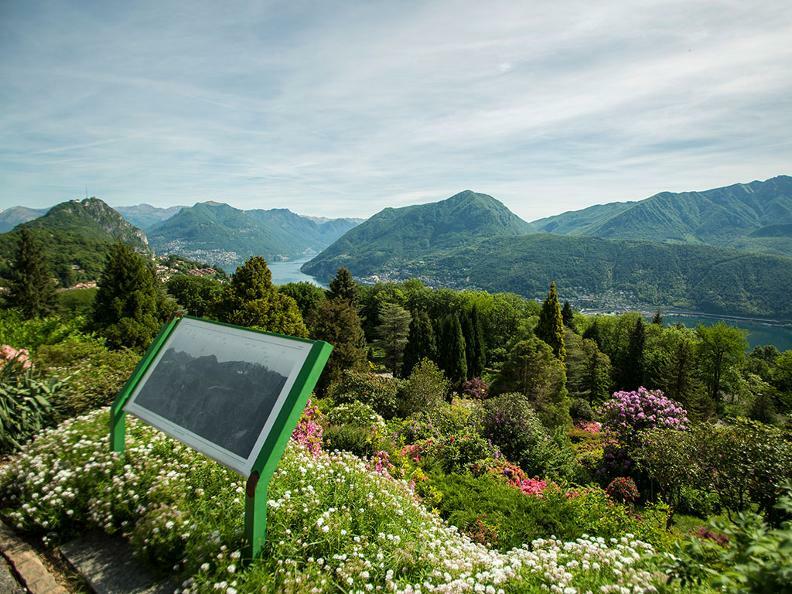 The botanical garden of San Grato offers unique natural characteristics, but also an exceptional panoramic view on the immediate surroundings and on the peaks of the alpine chain. 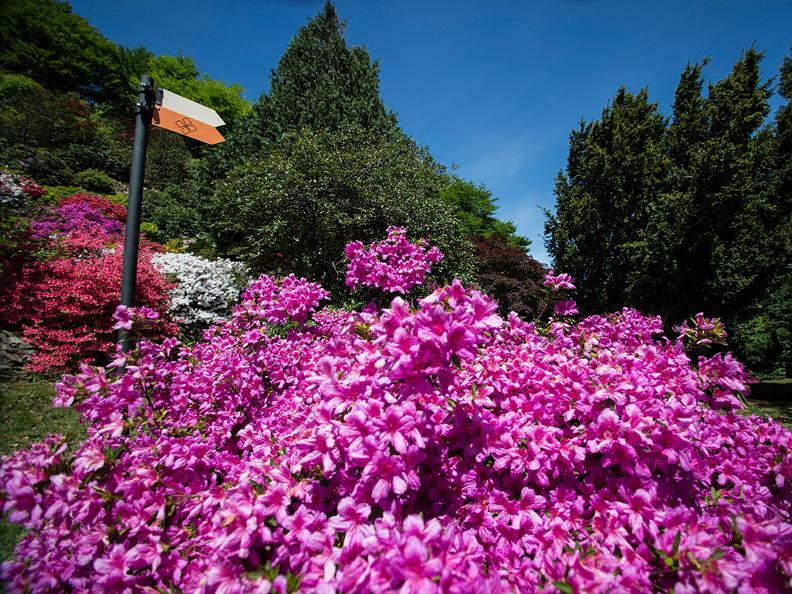 Visiting the park you’ve got the sensation of entering an enchanted world, where colors and odors of azaleas, camellia and rhododendrons make you feel unforgettable emotions. 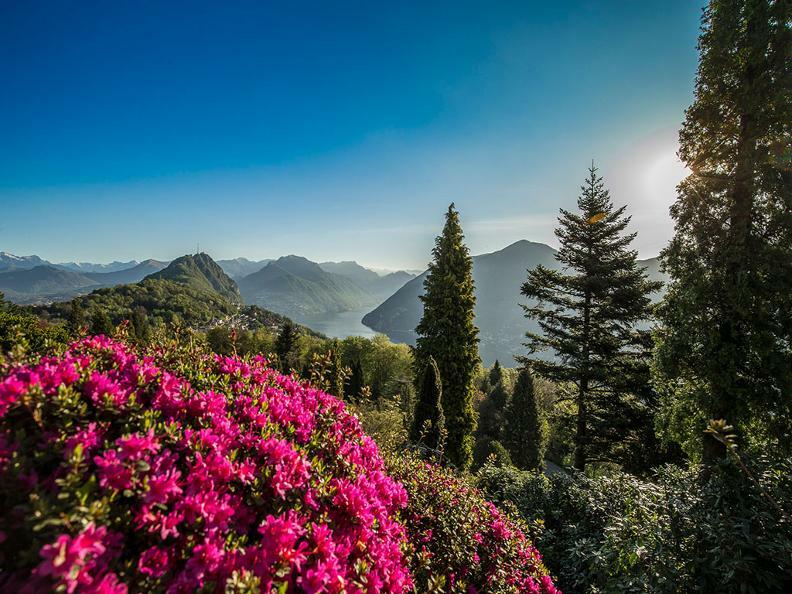 The park lies behind the majestic Monte San Salvatore on 690 meters on the charming peninsula just 10km from Lugano. 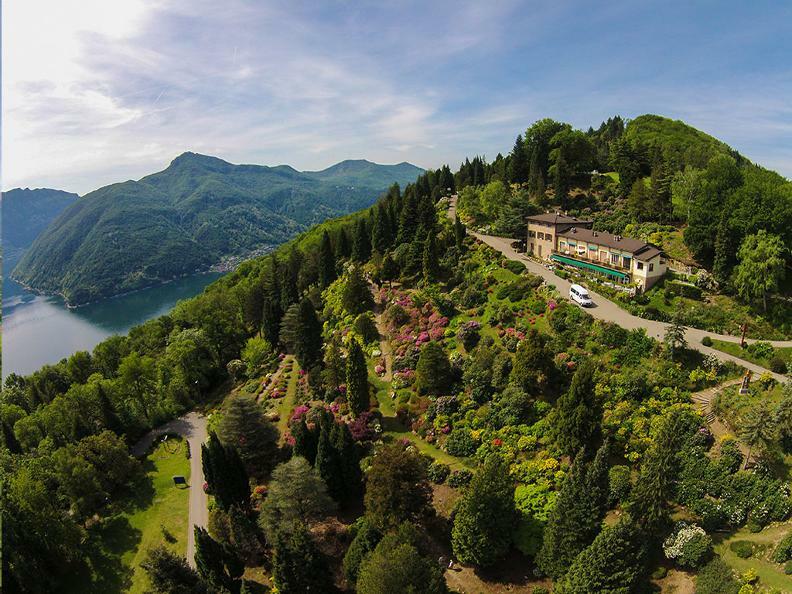 It belongs to the municipality of Carona that towers above the Lake. The park is situated in an exceptional position from a scenery point of view. 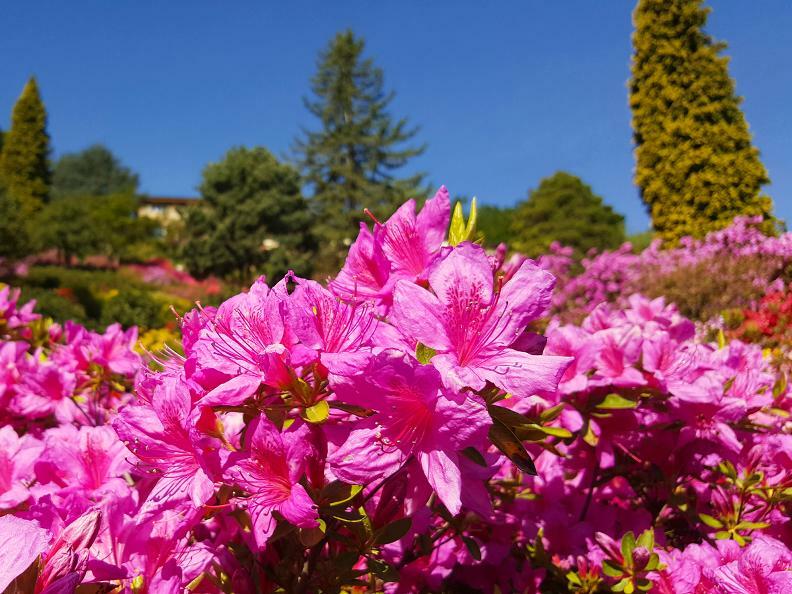 The park with a size of 62000 square meters has the greatest collection of azaleas, rhododendrons and conifers in Insubria, in terms of variety and quantity. 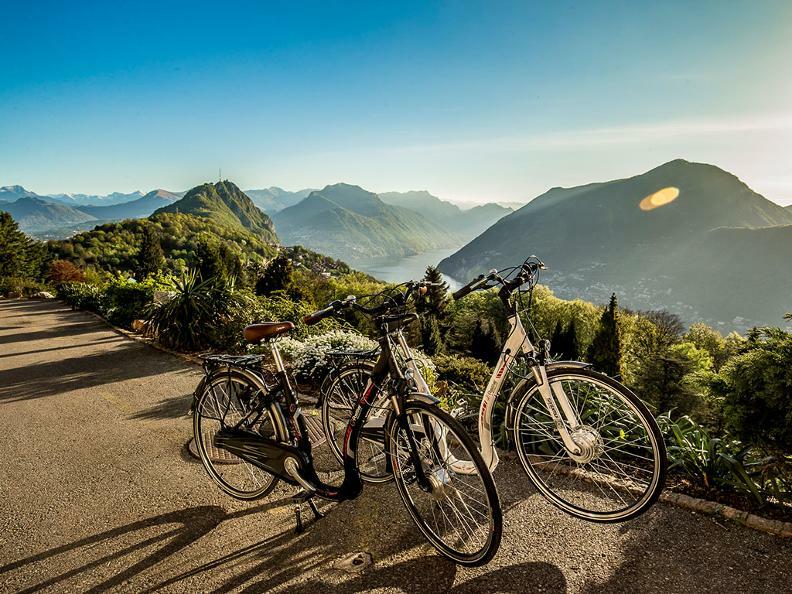 The park is also a great place to stop during the hike from Monte San Salvatore, through Carona with its picturesque hamlet to Morcote, and for mountain bikers needing a break after some single trails on the peninsula. In the center of the park there is a restaurant that offers delicious meals, accompanied by an authentic smile and a great view. 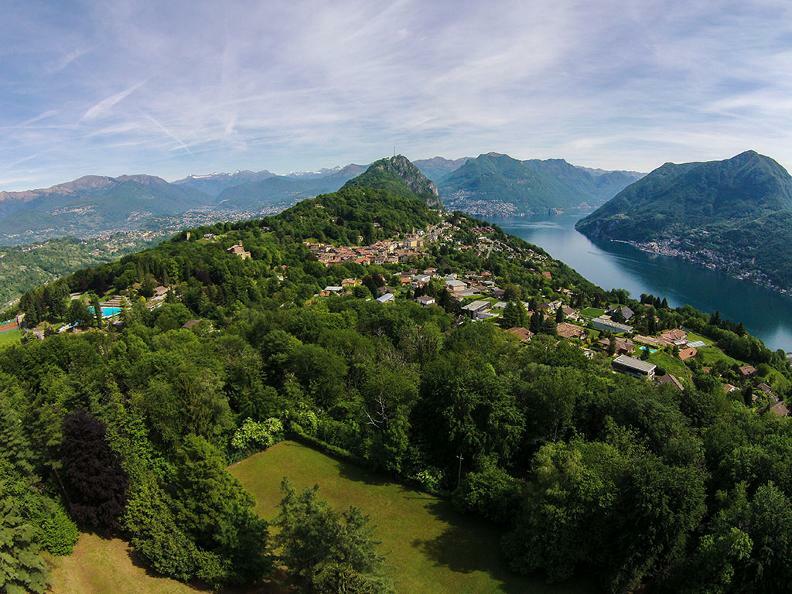 Carona can also be reached by public transport from Lugano in just 20 minutes. 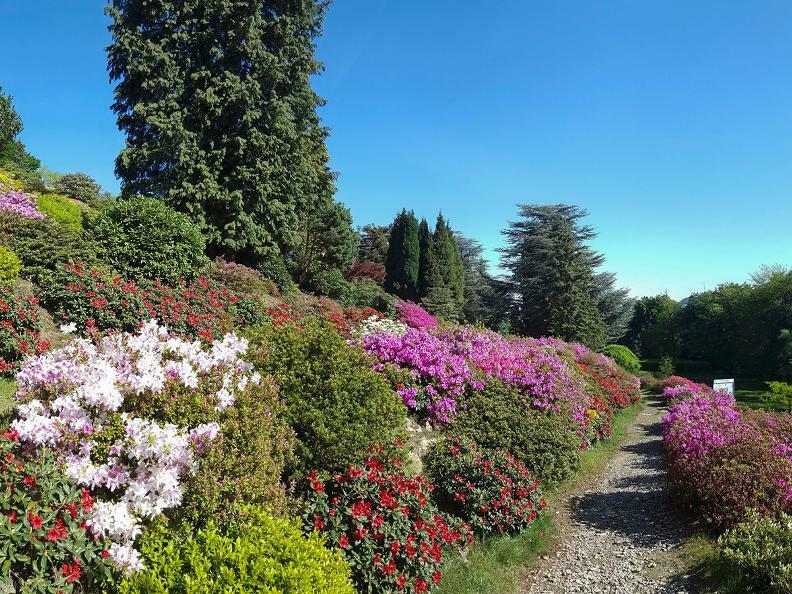 Given the multitude of walks (around 5.5km) and in order to maximise your visit, we would suggest you take a theme walk which allowing you to discover the most attractive corners of the park. The suggested walks have various themes which let you to see the park under differing aspects which vary according to the season. 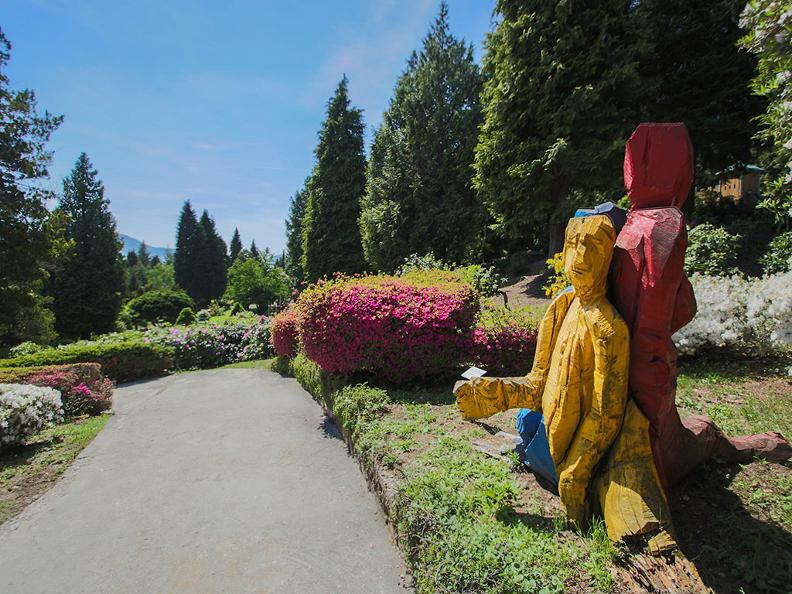 Just choose the most suitable route, and follow the corresponding coloured signposts. 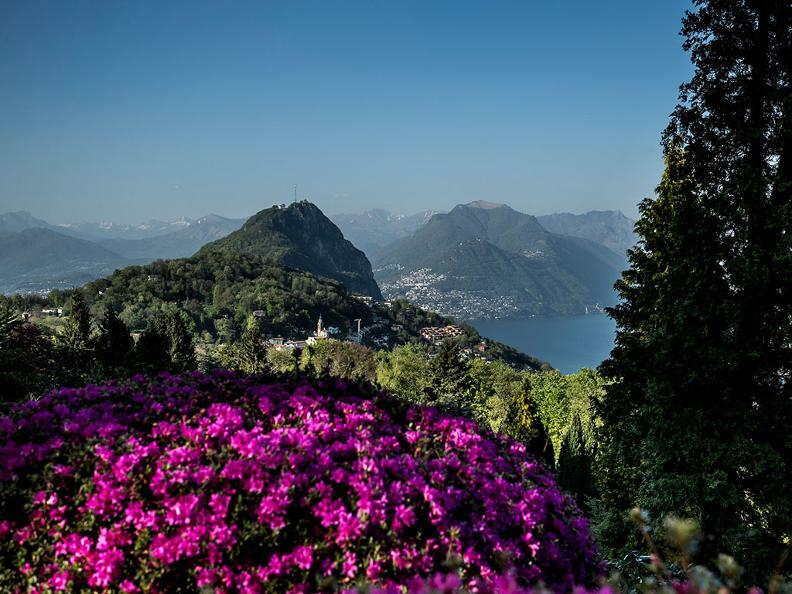 The San Grato Park is part of the Gardens of Switzerland network, which brings togheter the most beautiful gardens of Switzerland.